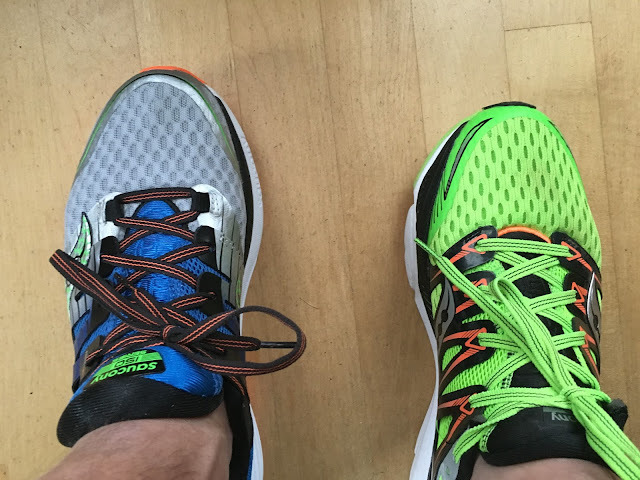 Road Trail Run: Review-Saucony EVERUN Triumph ISO 2: "Premium" Doesn't Have to Mean Heavy and Clunky. Great Update! 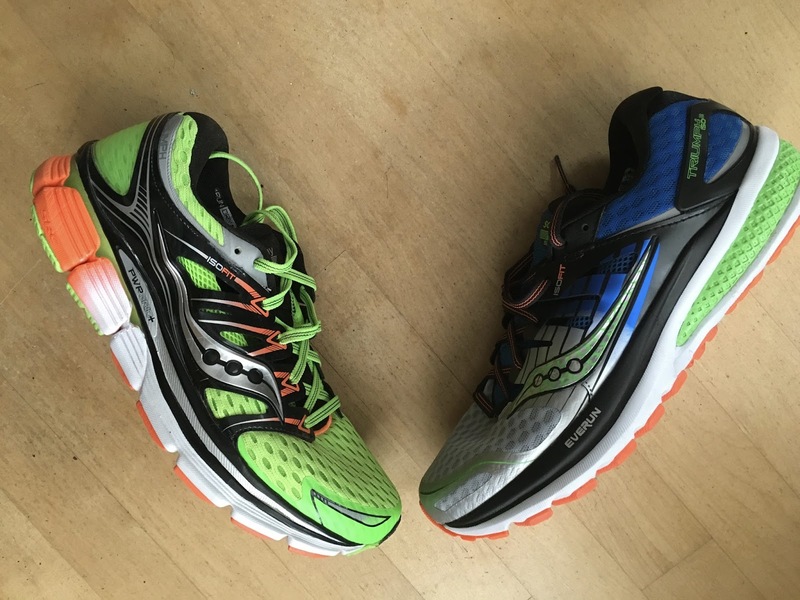 Review-Saucony EVERUN Triumph ISO 2: "Premium" Doesn't Have to Mean Heavy and Clunky. Great Update! The Saucony Triumph 1SO 2 $150 sits at the top of Saucony's line as its premium neutral trainer. Considerably lighter at 10.2 oz than many of its competitors in the premium and super cushioned category shoes such as the Brooks Ghost (review) or Glycerin , Asics Nimbus, Skechers GoRun Ultra Road (review) or adidas Ultra Boost (review), this plush near maximalist shoe with 31mm heel/23mm forefoot stack has rapidly become one of our favorite every day training shoes. Having now run both models, and even one on each foot, the ISO 2 is a significantly better shoe for me than the fairly harsh landing ISO 1 (review) Incredibly smooth running and comfortable, decently flexible for the stack and light enough, the ISO 2 incorporates several major changes and a new midsole material Everun. Finalist for my Road Trainer of the Year. The PowerGrid+ heel landing wedge is replaced by EVERUN a TPU based, bouncy and soft material very similar to adidas Boost. As it is embedded in relatively firm EVA, the heel is stable. TPU is more temperature stable so the shoe should run more consistently in terms of feel than pure EVA in colder and warmer temperatures. Also the EVERUN will tend to break down more slowly at the heel impact area than EVA. Below the sockliner, but above the firm "structural board", is a full length thin layer of the same EVERUN. Not sure how much effect it has but landings and takeoffs are comfortable and smoothly cushioned from heel to toe. The midsole shape is less scalloped, no longer has has a "pod" construction on the lateral side and has more vertical side walls particularly on the medial side. The outsole replaces the very thick firm pods of the ISO 1 with chevron patterned outsole materials that are somewhat thinner in the heel but with still plenty of wear thickness. The ride is smoother, the flex extends further back, something I like. The somewhat jarring landing on all that firm thick outsole without Everun in the ISO 1 is gone. Firm pods and thick firm heel outsole material is replaced by chevrons. Flexibility and smoothness is improved over ISO 1. The ISO 2 fit me true to size. 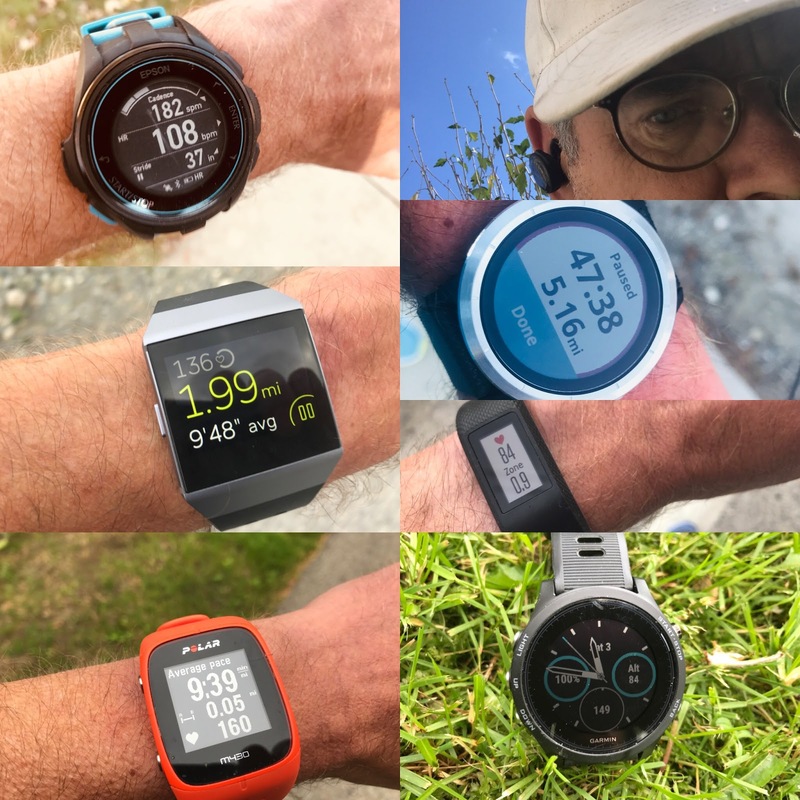 The upper fit is improved with the ISO Fit bands in the ISO 2 made of a somewhat more flexible material and the last band by the toe replaced by an overlay. The tongue is more heavily padded. The achilles area of the heel hold eliminates the high stiff heel counter and tight achilles hold of ISO 1 with a lower softer, more padded collar, a welcome change and super comfortable and well held The overall effect is more comfort overall, a more natural feeling heel hold, less snug over the top of the foot and more flexible overall. A great fitting shoe. I was quite frankly surprised by how much more I liked the ISO 2 than the original ISO 1. It is very well cushioned, decently responsive with a long smooth flex yet is also light enough. 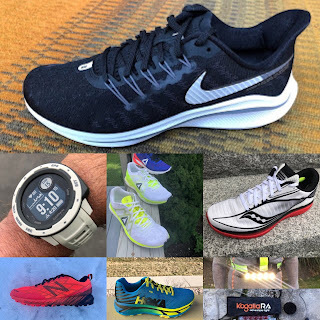 It is the kind of shoe I like for many of my miles. 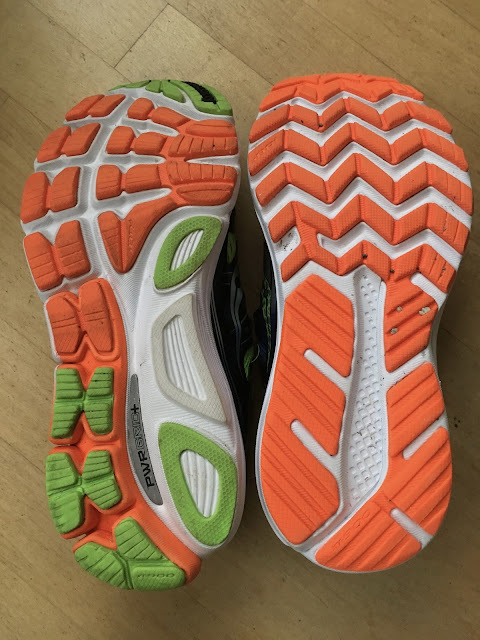 The addition of Everun TPU in place of Power Grid+ in the heel, the Everun layer underfoot, the chevron thinner outsole all combine for a well cushioned shoe with "no sharp edges" as I found in ISO 1 and also a shoe not so mushy as to be unstable and slow feeling. Truly an outstanding update. Smoother running than the Skechers Ultra Road at slower speeds due to the firm full outsole coverage of the ISO 2. 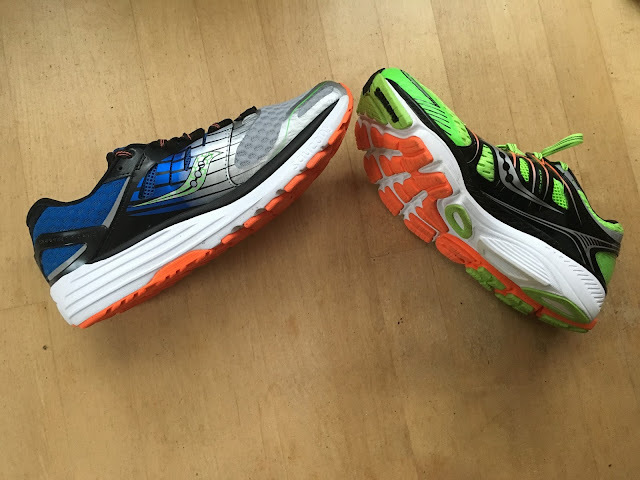 More road feel than the Hoka Clifton 2 without to much more road shock and with the better more conforming ISO Fit upper. Not a speedster but a great shoe for daily road miles, a marathon, and even some tempo running. Highly Recommended. -0.10 for weight. Extreme plushness of upper which may add weight? Would love to see this shoe under 10oz as many well cushioned shoes can be. -0.5 for price at $150. Yes. many shoes are up there in price, these days but a lower price would make this shoe more accessible. Running Warehouse has free 2 Day Shipping and "No Sweat" Easy Returns! Thanks Sam. Great review as usual. I'm probably going to try these in a wide for my Morton's neuroma. Sounds like they have sufficient cushioning. And I will use your link for RW and encourage others to do the same. Rod-Thanks for reading and supporting Road Trail Run. Much appreciated!